Grant Gustin‘s kinda dreamy, right? Well, his DC Collectibles action figure will make you swoon! The Flash has been a consistently entertaining TV show and one I look forward to every week. Overall, it’s the CW‘s best superhero show to date. 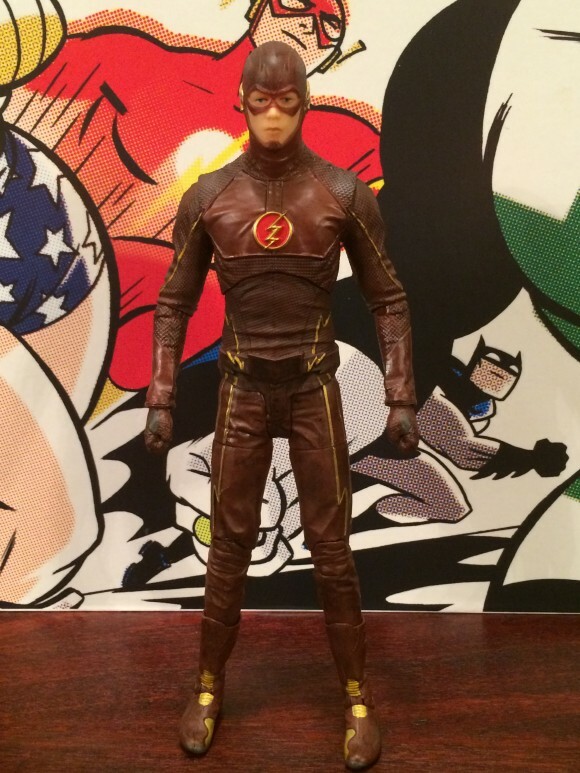 So given its runaway success (heh), it only went to follow that DC Collectibles was gonna give us an action figure based on Television Barry Allen. It’s just out now, and I really dig it. It looks like Gustin in the mask, has the proper build and it really lets you go over all the little details of the suit. I know that a lot of old-schoolers don’t like TV and movie costumes that are darker hued. I’m mostly OK with it, but in this case, it was really the right choice. Legendary costume designer Colleen Atwood really put together a sophisticated look for the not-really-Scarlet Speedster. 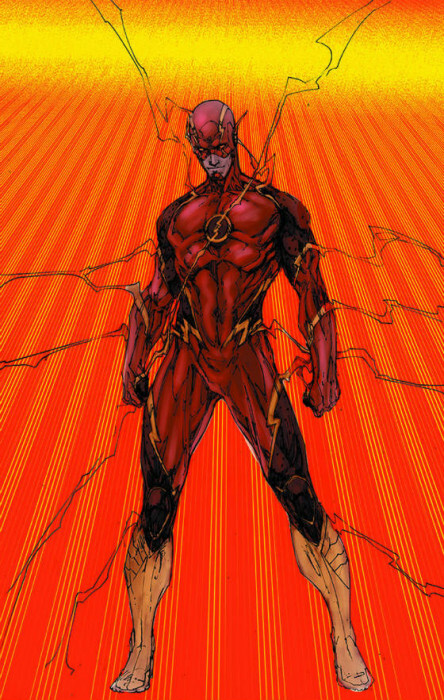 So it’s not really surprising that comics’ Flash is taking a page (ouch) from this look as well, when the regular DC books return in June. 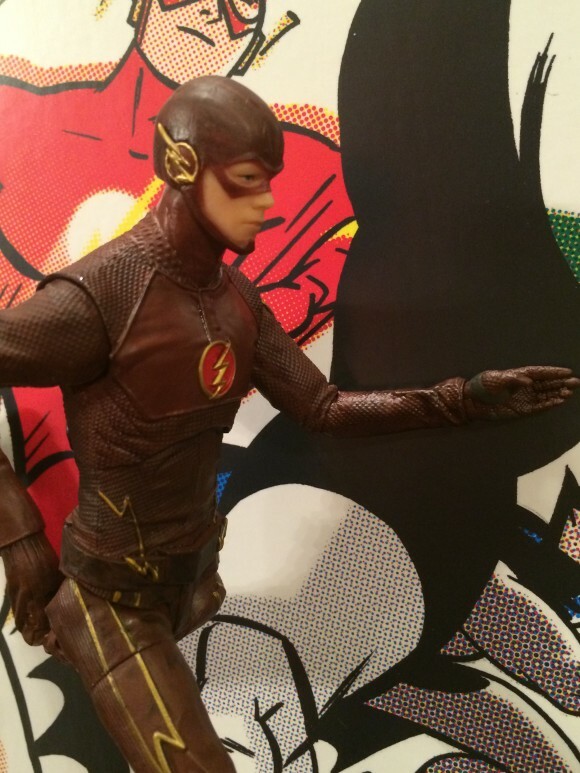 As far as the action figure itself, it’s the best of the CW TV figures produced by DC Collectibles so far. 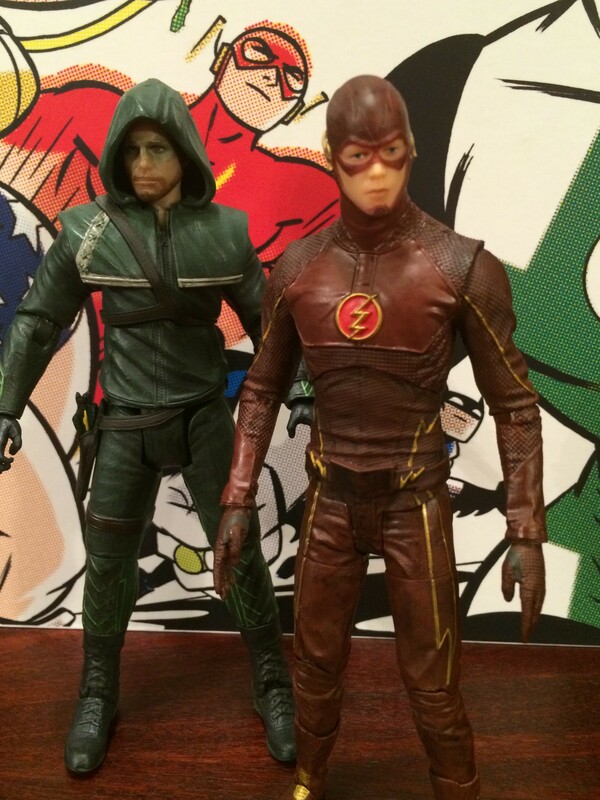 Arrow and Ollie don’t quite look like Stephen Amell but the Flash definitely looks like the actor in the mask. The poseability is really good and you can set him up in all sorts of running positions that look appropriate. He also comes with interchangeable hands to get that sprinting look just right. 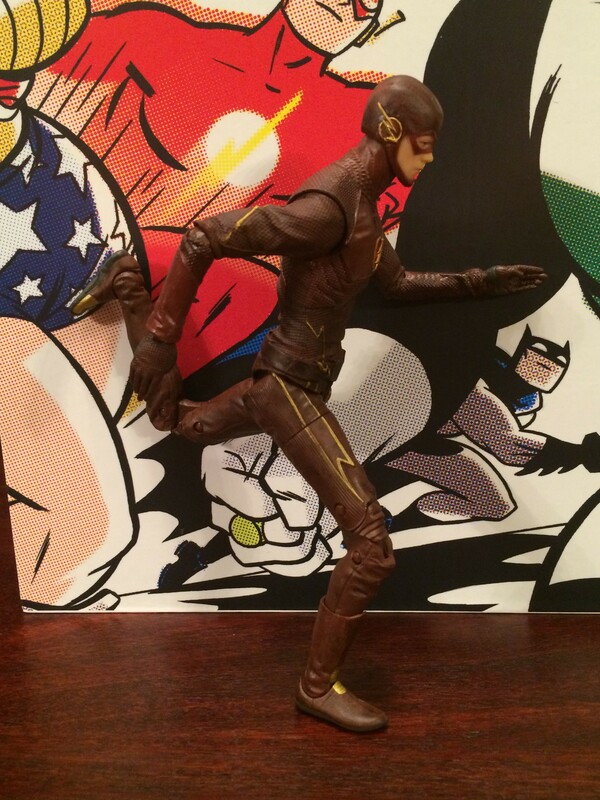 I just wish he came with a Reverse-Flash! 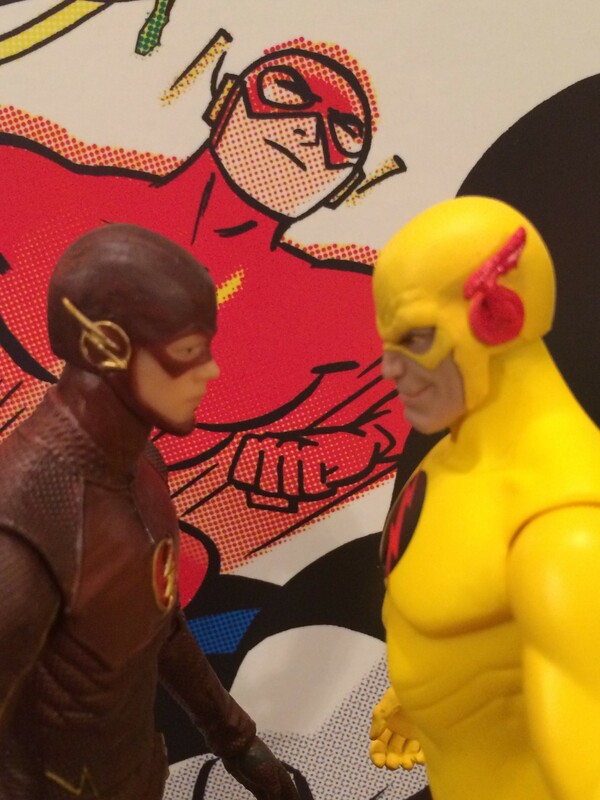 I’ll wait for Captain Cold later this year, but old Eobard is a no-brainer. Guess I’ll have to make do with an old DC Direct number instead. The Flash will run you about $25, give or take a buck or two — and he gets a big green light from me. 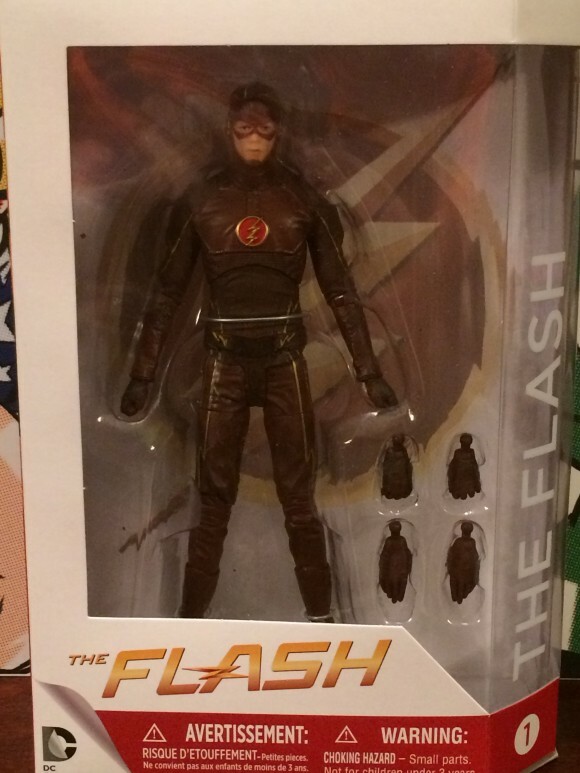 He comes in the standard DC Collectibles packaging.